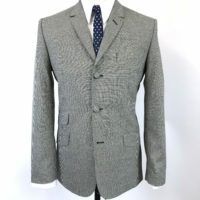 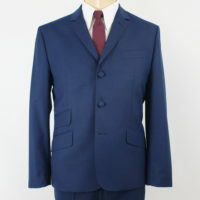 Lovely 3 button 100% wool suit. 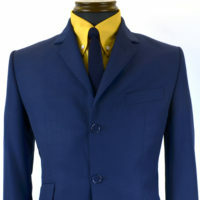 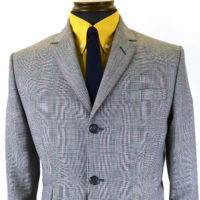 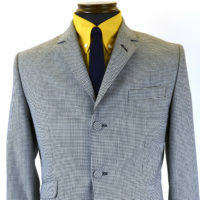 All the JTG features of working cuff buttons twin vent ticket pocket and great jetted lining. 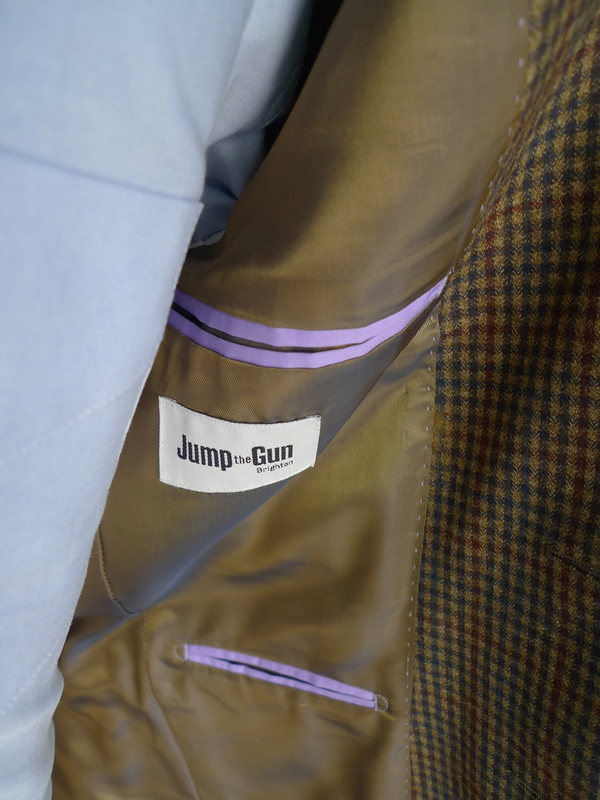 Trousers are flat front with frog mouth pockets.